Otzi, the 5,300-year-old Tyrolean iceman, and his tattoos will be the subject of a lecture at Fort Lewis College on Sept. 15. “Otzi, the 5,300-year-old Tyrolean Iceman and the World’s Oldest Tattoos,” will be the topic of the second annual John W. Sanders Lecture by Aaron Deter-Wolf, a prehistory archaeologist, on Sept. 15. Scientists have studied Otzi the ice mummy for nearly three decades, since he was recovered from an alpine glacier in 1991. Studies have examined the tools he carried, the clothes he wore, his health conditions, the ingredients of his last meal, deciphered his complete genome and identified the bacteria that inhabited his gastrointestinal tract. 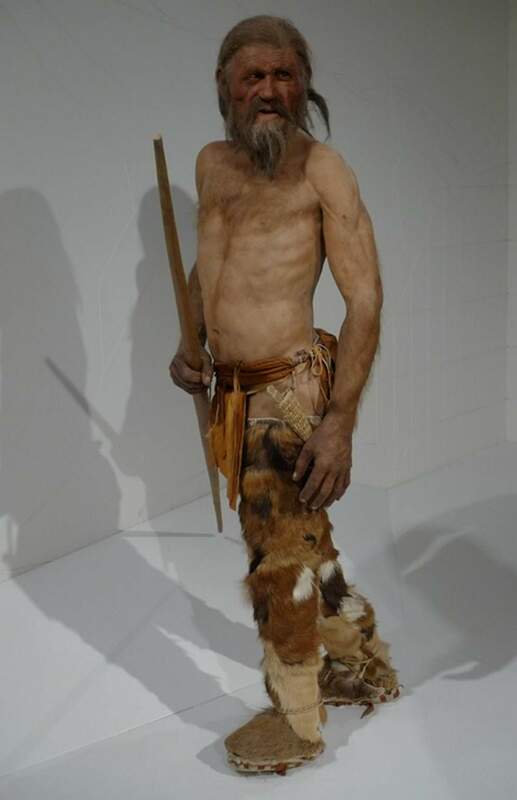 Analysis has also shown that Otzi’s body was adorned with at least 61 tattoos, the oldest preserved examples of tattoos known, Janice C. Sheftel, of the San Juan Basin Archaeological Society, said in a press release. Deter-Wolf of the Tennessee Division of Archaeology has studied the archaeological evidence for tattooing for the past decade. He is co-editor of the new volume, “Ancient Ink: The Archaeology of Tattooing,” has authored multiple book chapters and articles on tattoo archaeology, and in 2016 appeared in a NOVA documentary discussing Otzi’s tattoos. On Sept. 15, Deter-Wolf will discuss Otzi’s life, death and discovery, and what 5,300-year-old tattoos might say about human behavior and the ancient world, Sheftel said. The lecture, sponsored by the San Juan Basin Archaeological Society and Fort Lewis College, will be in the FLC Student Union Ballroom, on Sept. 15 at 7 p.m., with a reception at 6:30 p.m.
Tickets are $10 plus fees at the Durango Welcome Center, at 970-247-7657 or at www.durangoconcerts.com. Remaining tickets will be available for $13 at the door, starting at 6 p.m.
Half the proceeds will support the SJBAS Internship and Education Fund, which provides two FLC student internships at the Center of Southwest Studies and summer FLC archaeology field school scholarships each year, Sheftel said. Books will be sale, payable by cash or check. Deter-Wolf also will take part in a free panel discussion with Jesse Tune of the FLC department of anthropology and other faculty about “Frauds, Myths, and Mysteries in Archaeology”on Sept. 17 at 7 p.m., Room 130, FLC Noble Hall. The discussion will include fringe theories surrounding notions of giants, aliens and pyramids.